Suicide morbidity and mortality are serious public health problems, accounting for over 40,000 deaths annually and over $10 billion in combined medical and work loss costs. Suicidal behavior is the outcome of a complex causal web of distal and proximal risk processes that includes a range of interacting environmental and biological determinants. 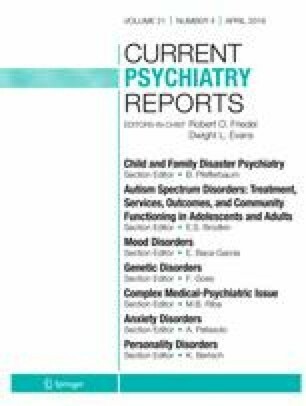 We review current understanding of risk and protective factors, including recent findings on inflammatory processes, discuss recent research on environmental risks for suicidal behaviors with a focus on economic stress, and examine potential mechanisms by which external factors and internal processes such as inflammation might contribute to pathways leading to suicidal behavior. We propose a model that links changes in the default network or resting state of brain activity with corresponding changes in brain structure and function, which in turn may be influenced by diverse inflammatory mediators, and suggest a potential framework that highlights multidisciplinary opportunities for further research. This paper represents the views of the authors and should not be interpreted as representing any policy or position of the Food and Drug Administration, Department of Health and Human Services, the U.S. Federal Government, or any other entity. The editors would like to thank Drs. Maria Oquendo and Michael Grunebaum for suggesting this topic and reviewing the manuscript. Eve K. Mościcki and John C. Umhau declare that they have no conflict of interest. Centers for Disease Control and Prevention. Suicide facts at a glance 2015. National Center for Injury Prevention and Control. http://www.cdc.gov/violenceprevention/pdf/suicide-datasheet-a.PDF. Accessed 6/15/2017. Centers for Disease Control and Prevention. Suicide facts at a glance, Summer 2010. National Center for Injury Prevention and Control. Cached. http://www.cdc.gov/ViolencePrevention/pdf/Suicide-DataSheet-a.pdf. Accessed 6/15/2017. World Health Organization. International Statistical Classification of Diseases and Health Related Problems (The) ICD-10. 2nd ed. 2007. http://apps.who.int/classifications/icd10/browse/2010/en#/X60-X84. Accessed 6/16/2017. Piscopo K, Lipari RN, Cooney J, Glasheen C. Suicidal thoughts and behavior among adults: NSDUH Data Review. September, 2016. Retrieved 6/6/2017 from http://www.samhsa.gov/data/.